is intended to be used by the diamond graders and appraisers, gemmological laboratories and institutes, diamonds and diamond jewellery manufactures and for the diamond and jewellery trade as well. Identification, grading, appriasal of loose and mounted diamonds manual. Interactive training for various diamond simulators. Combination of these sections represents this CD as a unique training and reference book. 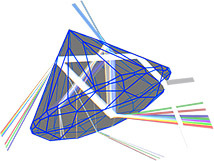 to simulate a diamond colour based on absorption spectra. Note : you can run on-line demo only on Internet Explorer 4.0 SP1 or later under Windows 95 or Windows 98. 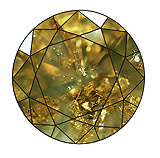 You also can see diamond photorealistic images generated by software included in Coursebook.